There is nothing quite like a week away from my Costa Rican treehouse in the jungle to remind me how close to nature I really live. I saw a few bugs inside my parent’s condo in the States, but that’s only because I opened the doors to let fresh air in when no one was looking. I was busted as soon as my folks felt the humidity dampen their carefully conditioned inside air. I’m used to the humidity now. It’s comforting. Maybe I’m part frog. 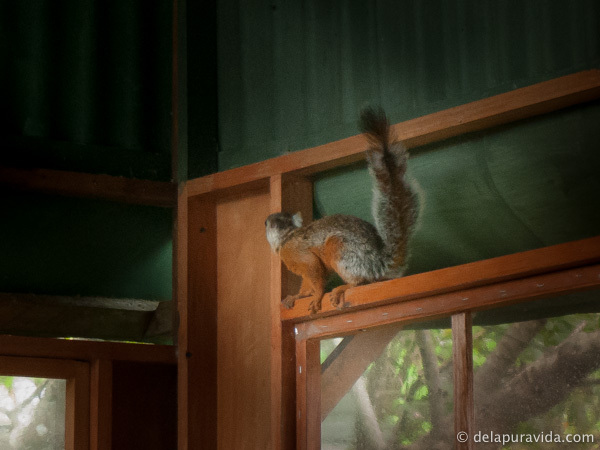 My wood and tin cabin in the tiny town near Braulio Carrillo rainforest is nothing but a glorified shack on stilts surrounded by a seemingly never-ending variety of wildlife which makes its home inside my house as well as outside. I deal with it. It feels like a small price to pay to be surrounded by an abundance of natural beauty and fresh air. …except for maybe the time the spider bit my eyelid. That sucked. Still, the spiders eat the ugly bugs, so they are alright in my book. More than alright – in 11 months, I have only seen three cockroaches crawl through my casa. I vividly remember each occurrence. I loathe cockroaches. Only three – that’s amazing. I leave the doors wide open all day and during the day or night they could crawl inside through any one of the many cavernous cracks, but they don’t. Viva las arañas! …living in the jungle is making me weird…er. 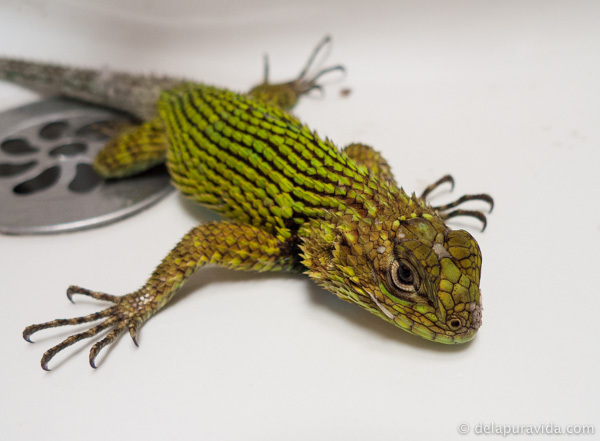 This lizard appeared in the laundry sink the other day. My neighbor was calling it an iguana, but that doesn’t look like any iguana I’ve ever seen! I snapped some photos of him before he tried to bite my camera, then I decided it was probably time to take him out of the sink. This spider thinks he is going to make a web in the middle of the wall. Mmmm No, not gonna happen. He has to stick to the cracks and corners. I have to draw the line somewhere! This scary bug deserves the spider web because he tried to drink my water. What is it? Edit: Question answered – it’s an earwig! 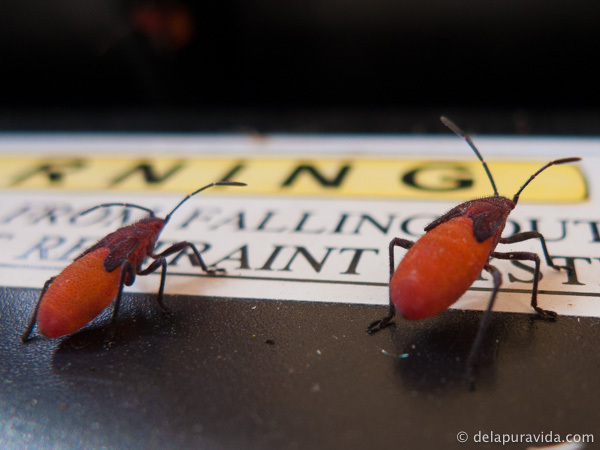 These amazing red and orange bugs move together in pairs, like a perfectly choreographed dance. There is a whole colony living in this power tool on the porch. Are they love bugs? 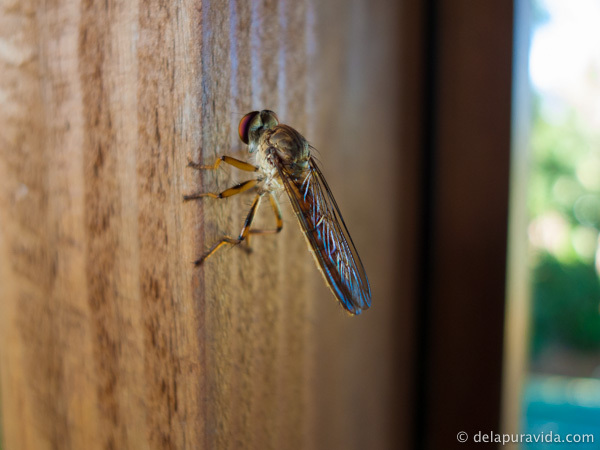 There are all sorts of different flying insects that come around that are so visually interesting. It feels like I hardly ever see the same one twice. 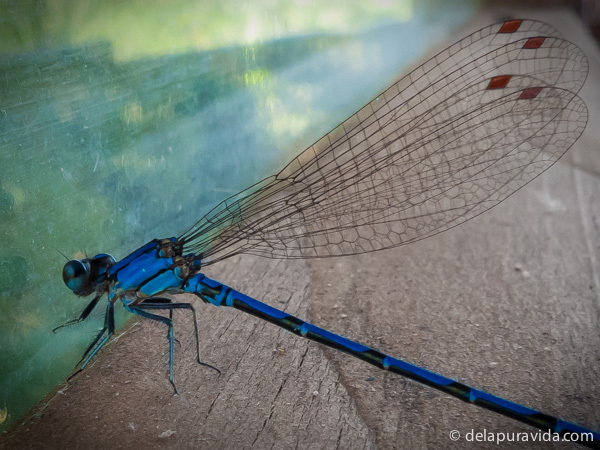 These beautiful bright blue dragonflies buzz around my back porch on a regular basis. 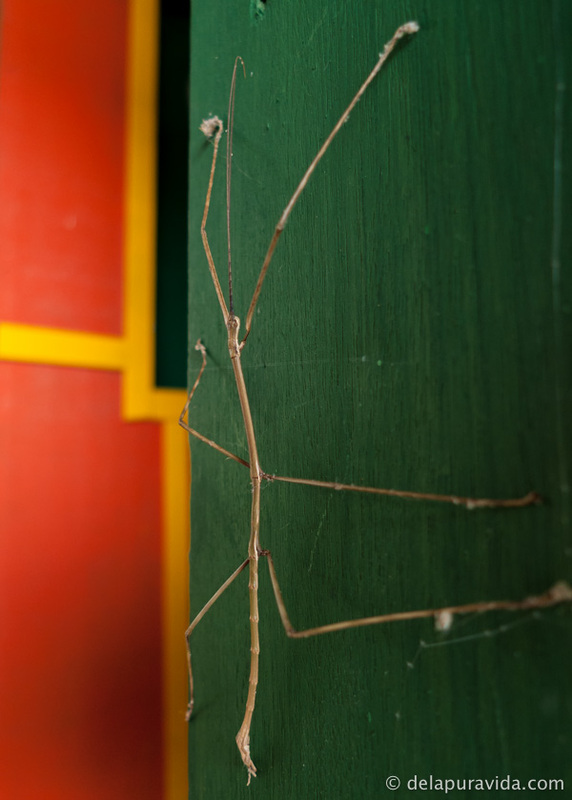 Stick bugs are a front porch regularity. Butterflies. Everywhere. 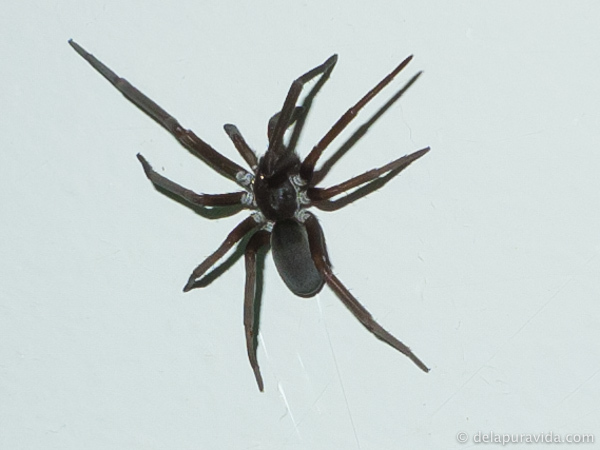 I try to steer them away from the spider webs when they fly through and around my house. Most of the butterflies on my property are smaller and black like this one. 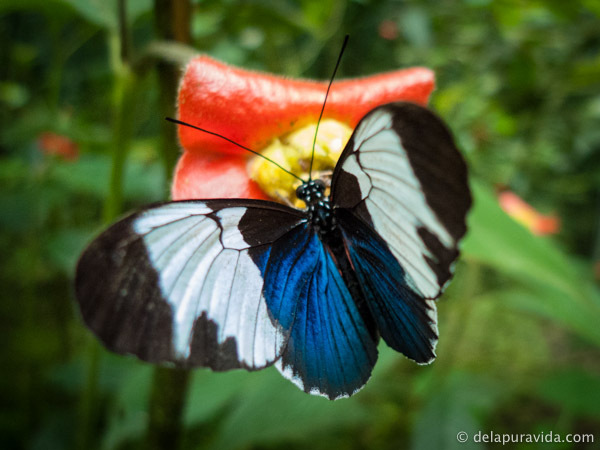 Check it – there is a town initiative to plant butterfly attracting plants all along the roads. Next thing on the agenda is probably a unicorn farm. Stupid stupid stupid bird. You might recognize him from the 4am-8am daily attacks on my window. He and his tiny evil yellow-chested friend are in cahoots. I get fuzzy visitors, too. These squirrels regularly race over my roof and occasionally pass through my house. There are also dogs, cats, and monkeys of course. Goats in the field next door. They obviously don’t come in my treehouse, but I can hear them all day. 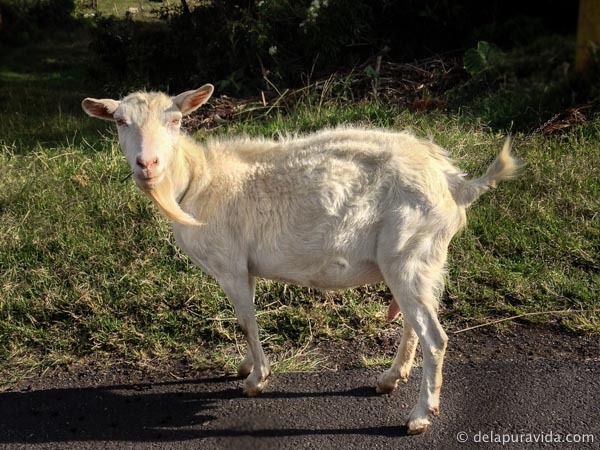 I would totally have a goat for a pet if I didn’t travel, they are hilarious. This is Tyrone. 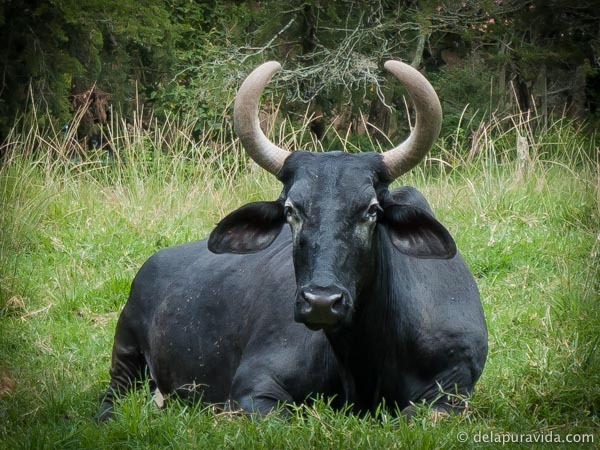 My neighbor takes him and his brother from the field and hitches them to one of those painted Costa Rican ox carts. Then they go prancing down the butterfly and hummingbird lined street, through the rainbow, and off to the unicorn farm. When I think about my open-air house in the trees and everything that passes through or lives within it, I guess it means I have basically been camping up here in the rainforest for the past year. That’s awesome. But I have internet – does that make it glamping? Great photos Erin and nice presentation. Beautiful pictures! We move to Costa Rica in 4 years, and I can’t wait to be living with the wildlife. Always something new to see. The spiders I’m not quite as fond of, but I’m learning. Great lizard photo. Lots of good detail. oh cool, thanks for the link! You’re certainly welcome. Thanks for your post. Neat. 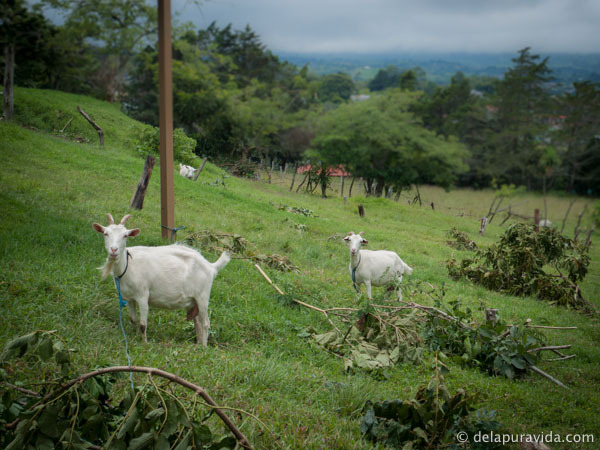 I always find it so wonderful that people go to Costa Rica to live a simpler lifestyle and then have better pictures than anything you can see back home. Such a small world. We had most of these down near Dominical. I must say the lizard was a find, though. The most intriguing thing I ever saw was when a tarantula hawk wasp dropped a tarantula on our pool deck right out of the sky. I’m a photography buff, and enjoyed your pics so much! Thank you! Love your presentation and what you say about the animals. If only more people approach them with curiosity and good humor instead of fear and alarm, I think we’d be much better off. Great photos! Keep up the good work! That’s a handsome lizard. 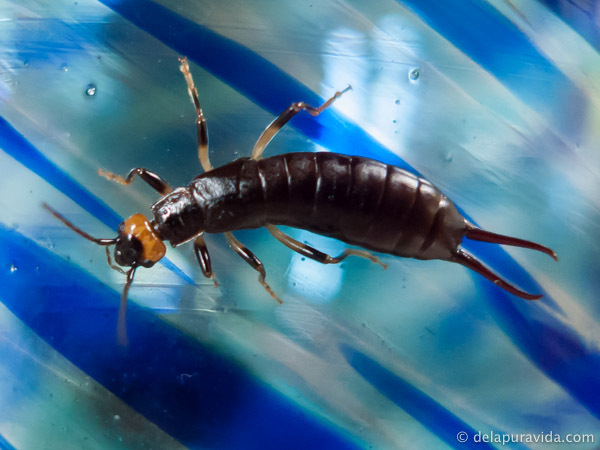 Photo 3 is a male earwig. Best left outside! Yes I enjoyed the story and the photos also Erin! One of my creature stories was kinda creepy. One day sitting in the den in Escazu, my friend said to me, “Dave you won’t believe what is next to your foot.” Well, of course I looked. There was a Banana Tarantula! He was about the size of my hand and ever so slowly moving to my foot. I about got sick! I don’t mind little spiders, but this one was way passed that. I could see his beady eyes, hair on his body and watched his long legs moving. I jumped up so fast like some one stuck a roman candle you know where. Of course everyone got a good laugh. My friend from Columbia said “Dave your such a sissy”! He got a jar and scooped him up. Brought him closer to me and I still didn’t want to have anything to do with him. Just had thoughts, he could have crawled up my leg. That was the only encounter with the wild life I did not care for. hahaha yeah when they are enormous I kinda react like that, too. Also, the gigantic beetles freak me out – you know, the ones as big as my head?! I’m seriously reconsidering a visit to Costa Rica after seeing that spider. I am a giant baby when it comes to big spiders. I can handle the little ones, but if I ever came across a big hairy one I don’t know what I would do! Is it likely that I would see a big one like that??? You would definitely see a big spider. They don’t come after you like palmetto bugs do, though. The spiders keep themselves busy with the bugs. You better come visit me. Not visiting your sister in Costa Rica is lame. LAME. I have to clarify that in the two years I was there, that spider for me was the only thing that creeped me out. I will take that spider any time to see what you will see down there. One of my favorites. Sitting in a little puparia in the country side, adobe type building, dirt floors, shutters instead of glass for the windows, raining hard and watching two red McCaw’s flying under the tree cover. On top of that, a conversation between the owner and I. He was telling me he wanted to live in the states and I was telling him I wanted to live in CR. I’ll never forget that moment. Nice photos! liked the iguana but i don’t think I’ve ever seen one like that! 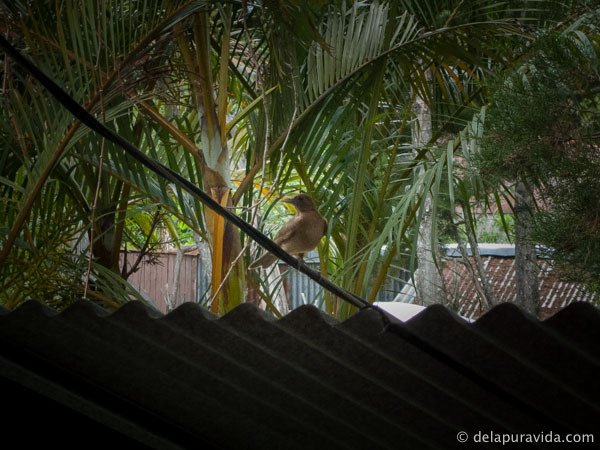 I actually have one and lives on our curtains lol.. neway, great blog and love costa rica! pure vida! Hey Erin, the picture of the goat is actually a “she”, and the thing hanging down in question is actually one of her teets. Never have liked goat’s milk, but that’s where you’d get it straight from the factory. Great shots! I tried using the Pin It button in the margin, but all it yields is a wordpress icon. Fortunately, I have a Pinterest plug-in that showed all the photos and pinned a couple of them. and hmmmm re: the plugin. I’ll get that updated, thanks for the heads up! Haha, awesome post Erin! Just this week I found a tarantula in my bedroom (really bad timing as my mom was visiting) and for the last three days a snake has been chilling on the windowsill in my bedroom. Gorgeous photos of your critters. I assume you have the usual ant infestations and termites? yes to ants and termites although there are a lot less up here in the treehouse than I’ve ever seen anywhere else in Costa Rica. Beautiful photos. We saw plenty of monkey and iguana lizards jumping all around our hostel. Costa Rica is a paradise on earth. Awesome post. I love the pictures – you have some great subjects and an artistic eye. Thanks for sharing. I tried to get my online business set up when I lived on a beautiful island in Thailand called Koh Tao. Unfortunately that time my online business was just taking too long to setup, the island would sometimes be a day or 2 without internet or even electricity, which isn;t ideal and I ran out of cash and had to go back to the UK. Still hoping to explore and settle somewhere else though, gotta break this 9-5 loop I seem to have found myself in over the past year.